By Harry Dacres-Dixon in ECR Minerals (ECR) on 2nd August 2018 . Gold might have finally found its price bottom after seeing three weeks of consecutive losses, said Sprott during Sprott Money’s Weekly Wrap-Up on Friday. “We had our ‘wash, rinse and repeat’ and now we are ready for the up cycle,” stated Sprott. August Comex gold hit a low of $1,217 on Friday and then continued to trade near its 12-month lows following the advance reading of second-quarter GDP that showed the U.S. economy growing 4.1%, which was slightly less than the 4.2% projected by market consensus. 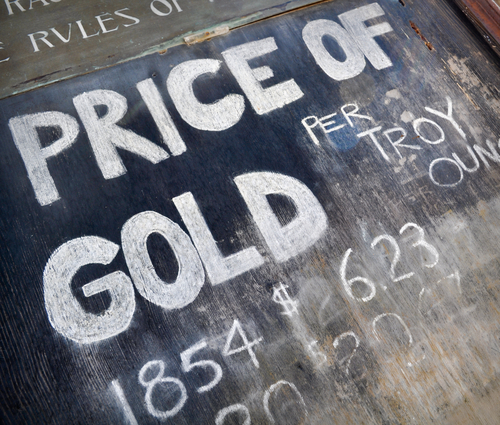 “I think we might have hit a bottom sometime when gold got down to around $1,210 inter-day on Friday,” said Sprott. Aside from this, demand for the yellow metal is also looking solid, which might help gold out in what is historically known as a very dull month. On top of that, the equity market is looking shaky and any significant drop could also offer additional support to gold prices in August. Sprott pointed out that this is not surprising considering that the Federal Reserve is continuing to raise interest rates and shrink the money supply. “The combination of the Fed shrinking the money supply and raising rates is not going to be constructive for the markets,” he said. As August doldrums are rolling in, the gold market might surprise investors on the upside, according to Eric Sprott, billionaire precious metals investor and founder of Sprott Inc.